Eliminating the movement of parts when installing or removing Spirolox-type retaining rings in piston and rod assemblies will make the job easier and save time and cursing. 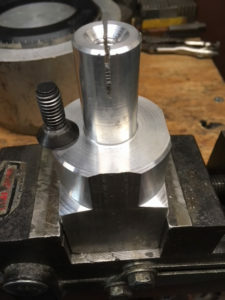 Instead of clamping a connecting rod in a vise and then trying to steady the piston, we make a simple device to stabilize the entire piston assembly. The photos should be self explanatory. A piece of scrap aluminum and about an hour of simple lathe work is all it takes. Just clamp it in a vise for easy installation or removal. We have fabricated a number of these for other shops. We are still getting lots of calls on rear main seal leaks on LS engines after rebuilds. 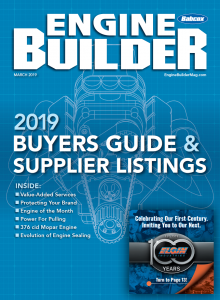 We suggest engine builders install the rear seal with the lip facing the crankshaft, like all other engines, regardless of installation instructions. 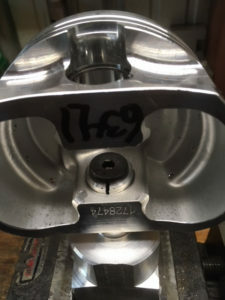 This change in seal production started around 2007 when the 6.2L and 5.3L LC9s came out and most of the aftermarket followed the GM engineering prints and design. The GM Active Fuel Management, or AFM engines in 2005-2014 5.3L and 6.0L passenger cars, trucks and SUVs are prone to lifter failures. These lifters are expensive and labor intensive to replace. As is common with lifter failures, the lifter usually gets the bad rap for failing, but is usually the result of some other problem. 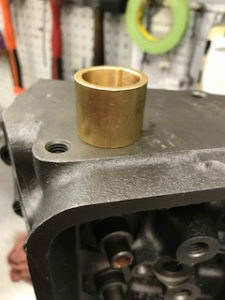 It is commonly dirt, or in this case, the failure of the Valve Lifter Oil Manifold, or VLOM, to deliver consistent, adequate oil pressure to the lifters. The VLOM has electrically operated solenoids, which switch oil pressure to the 4-AFM cylinders. When the VLOM fails due to wear, dirty screens, or other problems, it must be replaced or subsequent failures are likely. It is safe to say that a $200 VLOM is good insurance against a comeback on a $2,000+ lifter job. Sometimes it’s hard to get a caliper into a head to get a quick spring installed height. Machine a piece of tubing or rod with a 3/4˝ I.D. and approx. 1.25˝ O.D. Make it exactly 1˝ long. Install a valve, drop in your bushing, a retainer and a pair of valve locks. 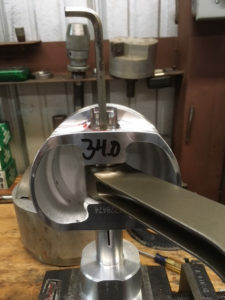 Using a pair of calipers measure the distance between the bushing and the retainer. 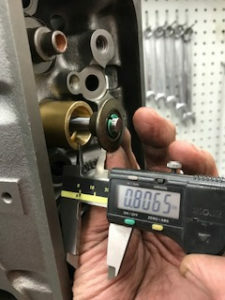 Your spring height would equal 1˝ plus the caliper reading. 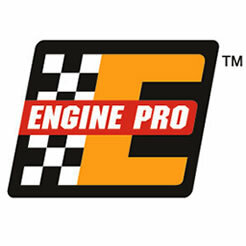 Used oil analysis can be a very helpful tool for engine builders. 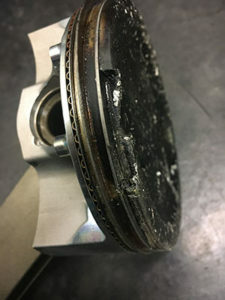 Not only can you see increases in wear before the problem becomes a bigger problem, it can also detect contamination. The tribological printout shown below is from a customer who had a very small head gasket leak. He could not detect any change in coolant level, nor could he “see” any water/coolant in the oil. However, used oil analysis did detect the water (and resulting wear metals). The presence of water in the oil created a domino effect that damaged the engine. By taking samples on a regular basis, these issues can be caught before they become a major problem. Here are some tips on how to properly take a used oil sample. Take sample within 10 minutes of using the equipment (i.e. shutting off the engine or coming off the track). If this is not possible, drain 1 quart of fluid into a quart or larger container, shake for 1 minute before filling the sample bottle. Clean the area around the drain plug to remove possible contamination before taking sample. Allow the oil to drain for five seconds before beginning to take the drain sample. Always use the sample bottle provided in the kit but only fill it 3/4 full. DO NOT fill beyond the top of the label on the bottle. Complete the sample information form, place the sample bottle in the plastic bag and seal. Don’t forget to provide your name and email address to get your results.